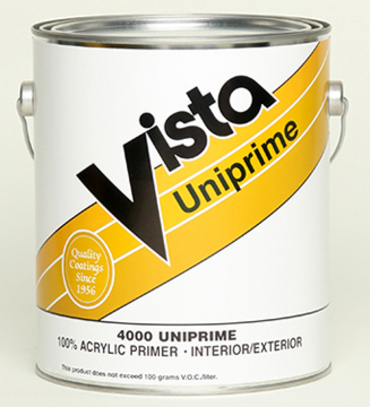 A premium plus, multi-purpose 100% acrylic primer for exterior and interior applications. Superior resistance to efflorescence and alkalinity on concrete and masonry. Dries to a durable film which provides an excellent base for all top coats. Recommended Uses: New concrete, masonry, wood, galvanized metal and aluminum. This product can also be used on most previously painted surfaces. Colors: White (tint with up to 2 oz. of colorant). Also available in 4010 Red Oxide & 40D deep tint base (tint with up to 8 oz. of colorant).